Scan your server for Beast attack. Scan your server for Heartbleed attack. Scan your server for POODLE attack. Scan your server for DROWN attack. Scan your client browser SSL. 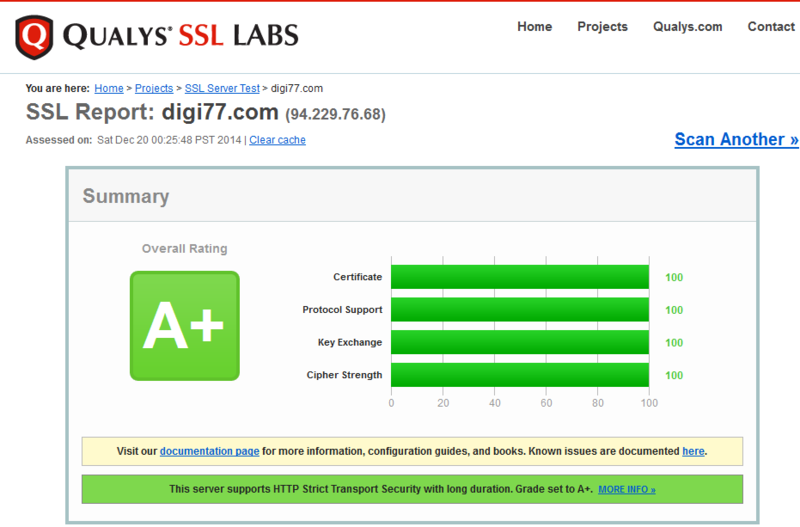 HTTP vs HTTPS to compare load times of the unsecure HTTP and encrypted HTTPS versions of a page. 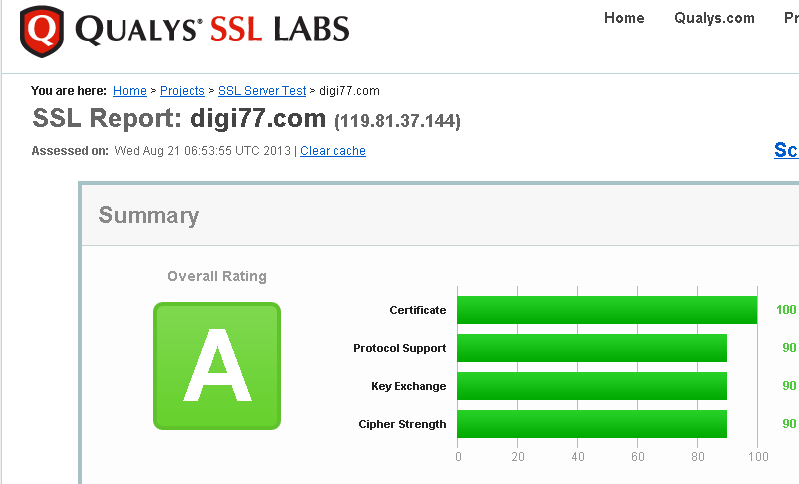 I am using openssl-1.0.2j get the latest version number from here. SSLCipherSuite "ECDHE-RSA-AES256-GCM-SHA384 CDHE-ECDSA-AES256-GCM-SHA384 ECDHE-RSA-AES256-SHA384 ECDHE-ECDSA-AES256-SHA384 ECDHE-RSA-AES256-SHA ECDHE-ECDSA-AES256-SHA DHE-DSS-AES256-GCM-SHA384 DHE-RSA-AES256-GCM-SHA384 DHE-DSS-AES256-SHA256 DHE-RSA-AES256-SHA DHE-DSS-AES256-SHA DHE-DSS-CAMELLIA256-SHA AECDH-AES256-SHA ECDH-RSA-AES256-GCM-SHA384 ECDH-ECDSA-AES256-GCM-SHA384 ECDH-RSA-AES256-SHA384 ECDH-ECDSA-AES256-SHA384 ECDH-RSA-AES256-SHA ECDH-ECDSA-AES256-SHA !RC4 !aNULL !eNULL !LOW !3DES !MD5 !EXP !PSK !SRP !DSS"
SSLCipherSuite "ECDHE-RSA-AES256-GCM-SHA384 CDHE-ECDSA-AES256-GCM-SHA384 ECDHE-RSA-AES256-SHA384 ECDHE-ECDSA-AES256-SHA384 ECDHE-RSA-AES256-SHA ECDHE-ECDSA-AES256-SHA DHE-DSS-AES256-GCM-SHA384 DHE-RSA-AES256-GCM-SHA384 DHE-DSS-AES256-SHA256 DHE-RSA-AES256-SHA DHE-DSS-AES256-SHA DHE-RSA-CAMELLIA256-SHA DHE-DSS-CAMELLIA256-SHA AECDH-AES256-SHA ECDH-RSA-AES256-GCM-SHA384 ECDH-ECDSA-AES256-GCM-SHA384 ECDH-RSA-AES256-SHA384 ECDH-ECDSA-AES256-SHA384 ECDH-RSA-AES256-SHA ECDH-ECDSA-AES256-SHA !RC4 !aNULL !eNULL !LOW !3DES !MD5 !EXP !PSK !SRP !DSS"
For a proper AXIVO repository setup click here. Short for Browser Exploit Against SSL/TLS, SSL Beast is an exploit first, revealed in late September 2011, that leverages weaknesses in cipher block chaining (CBC) to exploit the Secure Sockets Layer (SSL) protocol. The CBC vulnerability can enable man-in-the-middle (MITM) attacks against SSL in order to silently decrypt and obtain authentication tokens, providing hackers with access to the data passed between a Web server and the Web browser accessing the server. 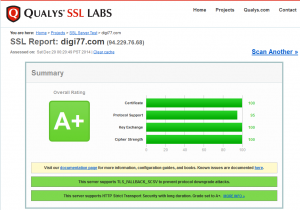 While SSL BEAST attacks affect only the Transport Layer Security (TLS) 1.0 version of SSL and not later versions such as TLS 1.1 and 1.2, TLS 1.0 remains the overwhelmingly predominant version used by both Web servers and browsers. Heartbleed is a security bug disclosed in April 2014 in the OpenSSL cryptography library, which is a widely used implementation of the Transport Layer Security (TLS) protocol. Heartbleed may be exploited regardless of whether the party using a vulnerable OpenSSL instance for TLS is a server or a client. DROWN is a serious vulnerability that affects HTTPS and other services that rely on SSL and TLS, some of the essential cryptographic protocols for Internet security. These protocols allow everyone on the Internet to browse the web, use email, shop online, and send instant messages without third-parties being able to read the communication. DROWN allows attackers to break the encryption and read or steal sensitive communications, including passwords, credit card numbers, trade secrets, or financial data. Our measurements indicate 33% of all HTTPS servers are vulnerable to the attack. This link should be included to this tutorial as instructed, so users always get the proper redirect location. Thank you Floren link was added.